Hemel Hempstead in Hertfordshire — more than just a new town, is celebrating its 70th anniversary. Hemel Hempstead offers a choice of places to live from small rural villages, to the desirability of canal side living at Apsley Marina, to the vibrant regenerated town centre, with a wealth of green spaces and a host of leisure and retail amenities in the surrounding area — including two theatres, three museums, seven libraries and 51 equipped children’s play areas. 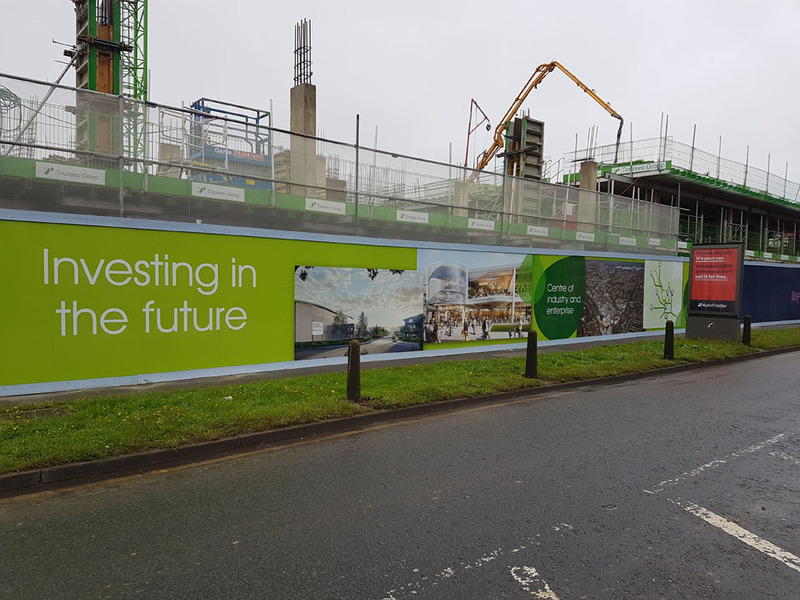 Around 148,000 people reside in Dacorum and whilst the lack of affordable housing across the country continues to dominate the news, Dacorum Borough Council is progressing its ambitious programme of new house build development to meet the needs of future generations. The council already owns circa 10,500 homes and plans to increase this with a further 300 new homes by 2020 at a cost of £50m. Business Ambassador Hightown Housing Association is building two modern blocks of one and two-bedroom apartments on its Maylands Plaza site, with 77 for affordable rent and 53 for intermediate rent, which offer assured shorthold tenancies that are around 20% cheaper than similar properties to help people save for a deposit to get onto the property ladder within five years. Building work on the scheme, which also includes an attractive public square, has been progressing well. The charitable housing association, based across the road from the site, hopes the first residents will move into their new homes by the end of 2017. The apartments are among the 575 properties that Hightown is planning to build in the Dacorum Borough Council area in the next five years. On the nearby Viking House site in Swallowdale Lane it will also be building 87 one-and-two bedroom flats across four blocks. In addition, Bovis Homes are well underway with its programme of 325 properties with Aspen Park in Apsley. Barratt Homes are also working on a further 357 new homes including ‘Help to Buy’ commencing with Swallow Fields at Three Cherry Trees Lane in Hemel Hempstead. 85% of Dacorum is rural, a third of which is within the Chilterns AONB (Area of Outstanding Natural Beauty) and maintaining this beautiful green space whilst developing the new urban centre is key to the Hemel Hempstead Town Centre Masterplan which was adopted in January 2013, and provides a vision through to 2031. The layout of Aspen Park in particular has been carefully designed to provide significant areas of open space and new children’s play areas which will be handed over to the council for on-going management. Retention of the existing landscaping and ecology also ensures that large areas of woodland on Featherbed Lane are preserved for the benefit of all residents. Significant improvements to the infrastructure of the surrounding area are also being implemented as part of the new development. Chris O’Connor, Regional Technical Director at Bovis Homes, said: “We will start work shortly on phase 6 of our Aspen Park development in Apsley, providing 84 much-needed new homes, ranging from one-bedroom apartments to six-bedroom family houses. “Alongside these homes will be a variety of public open spaces, including a green corridor and footpaths linking to equipped children’s play areas at the top and bottom of the development. The development also links to existing footpaths which provide a convenient route to Apsley station, where there are regular trains into London and Birmingham.